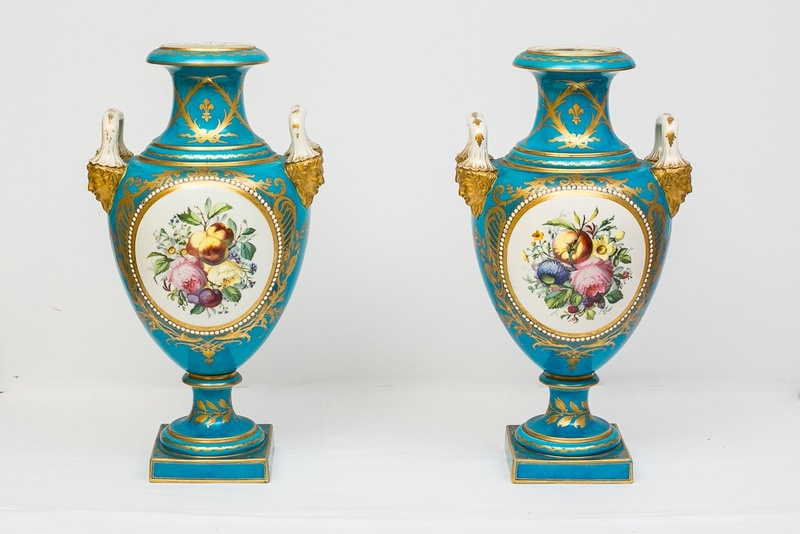 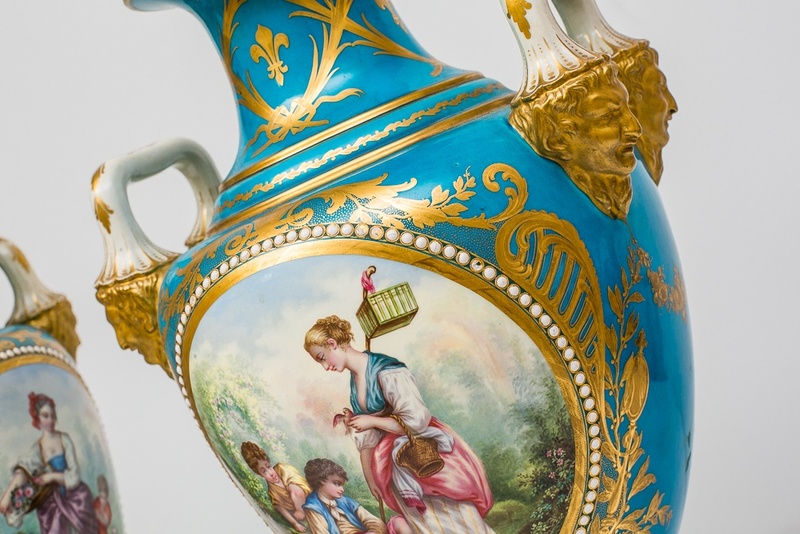 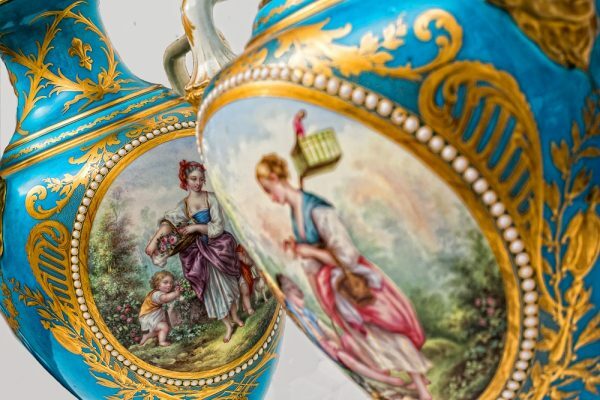 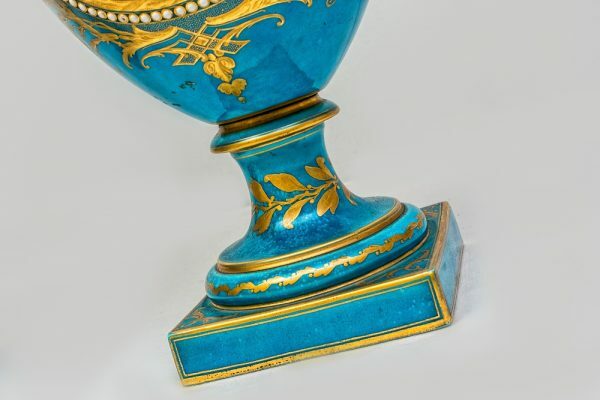 A pair of French turquoise and gilt decorated porcelain urns. 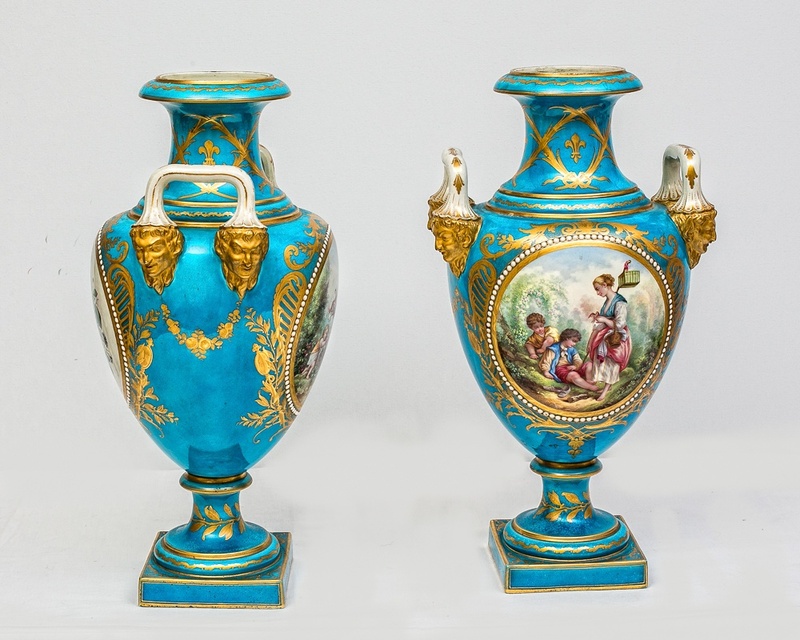 19th century in severes style. 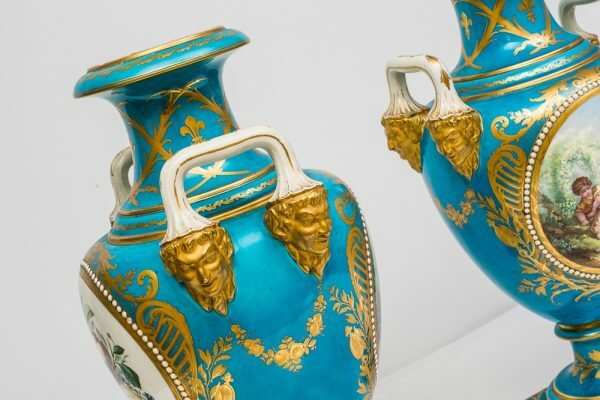 Each of Neo-Classical form,applied with handles terminating with satyr masks. 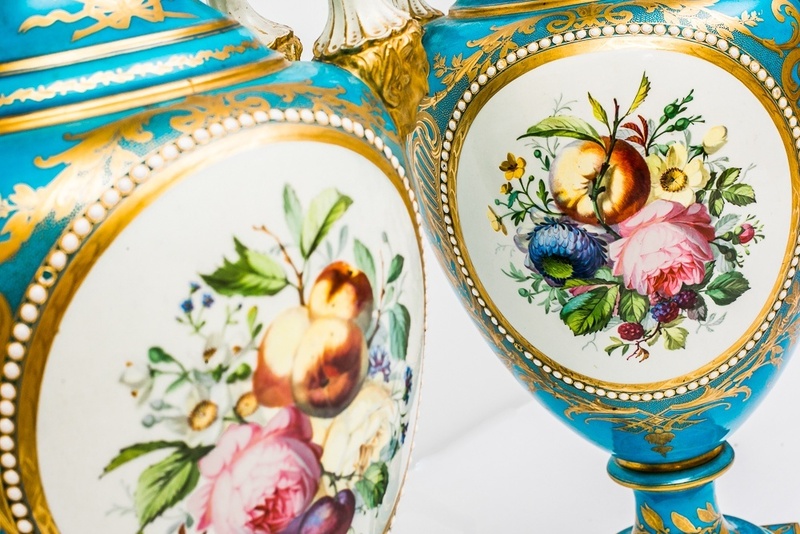 The bodies hand painted with fruit pickers and infants in a woodland.